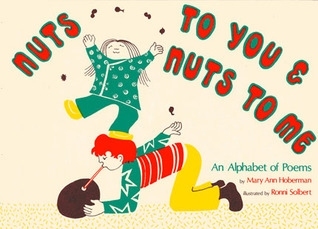 Nuts to you & nuts to me : an alphabet of poems. Humorous poems introduce each letter of the alphabet. About Ronni Solbert (Illustrator) : Ronni Solbert is a published author and an illustrator of children's books. A published credit of Ronni Solbert is The Pushcart War.